Dates Chutney / Eithappazham Chammanthi | Simple and Delicious ! Though I had seen a number of dates pickle recipes, a chutney was new to me! 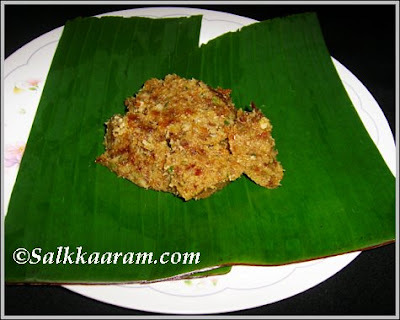 It needed only few ingredients and was so simple.I prepared it on a salkkaaram day, without any hope. 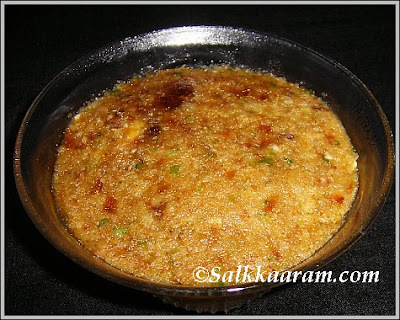 But for my surprise, every one asked it again.Nowadays mom makes this most of the days, it seems she forgot our poor old local chammanthies.. :) Enjoy this sweet chutney! Chop dates into pieces.Crush all the ingredients together except dates and vinegar in a grinder.Add chopped dates and crush again to make a thick paste.Add vinegar and mix well. Check salt. Recipe by Shabna Naushad, Madhyamam. Nice... Is this sweet or savory or both? Like the addition of dates to the regular chammanthi. what an idea sirji ? i can imagine how it'll taste.. I also have never had date chutney. Date chutney is unusual. This sounds good, looks nice. I've never had one and there are dates in my fridge. Shall give this a go. Farida, it would be good with bread,roti etc. But here chutneys are served with rice , that we normally do. I just made your chutney!!!! We always have dates at home so it was no hassle. I didn't have curry leaves so I substituted it with ground cumin. Not sure if it was the best decision but it worked fine. I also reduced the amount of green chilly for a less hot dish, as my palate is not built for a too spicy taste:) The result was sweet and sour kind of paste. I loved it and reserved a little for hubby. He is a little picky when it comes to sweet and sour things, so I may end up eating the whole thing myself, which is even better:) Thanks for the recipe! looks very authentic and yum!